Food, Supplement, Bones & Insurance! Please be sure to visit the links to the lower left, also! 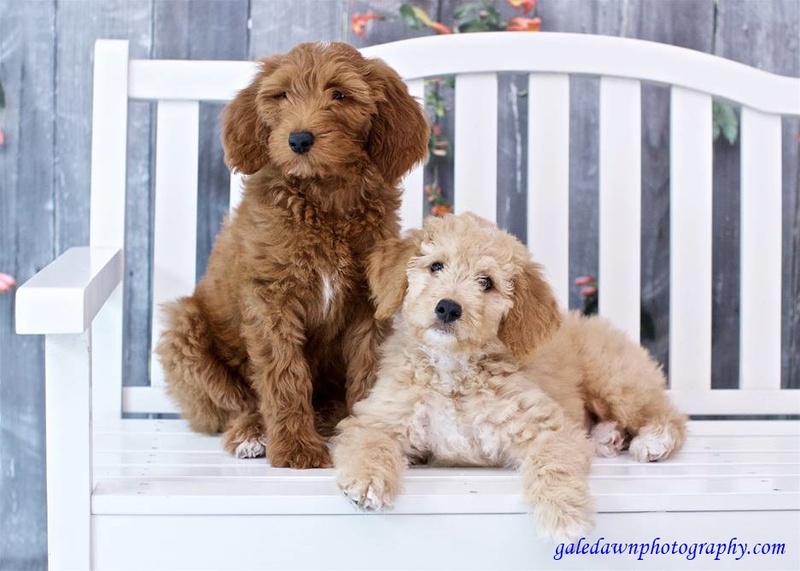 We are a breeder of Goldendoodles & Labradoodles. All of our adult dogs are screened for genetic defects. 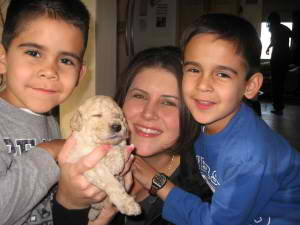 Our puppies are born and raised in our home with lots of love and attention. 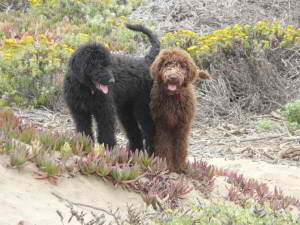 They are exposed to various noises, other dogs, and lots of people. 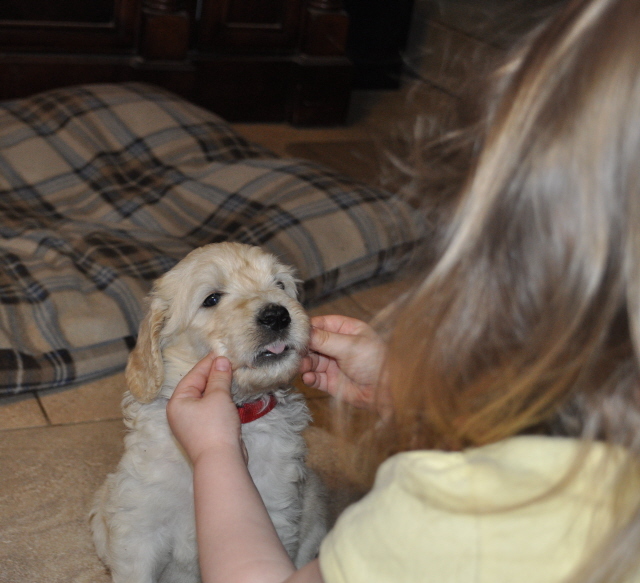 Our focus is to provide healthy well balanced puppies. We want to give you a puppy that we can be proud of! How are Your Puppies Raised? inside of our home or that of one of our family members. They are exposed to all household activities. When they are older and if the weather is good, they go outside for playtime during the day. Otherwise they will be found romping through the house. “What are the main differences between a male and a female?” In my opinion, I feel that dogs all have their own personalities and temperaments regardless of what gender they are. 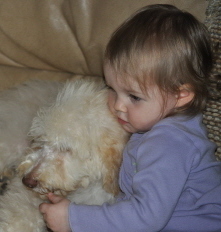 Both genders are equally intelligent and affectionate and make excellent family companions. Do I need to place a deposit & how much is it? 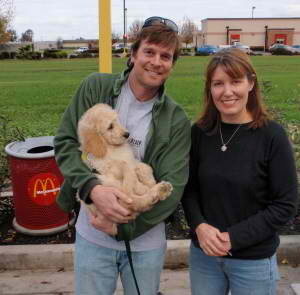 Placing a deposit assures you a “pick” from current or upcoming litters. 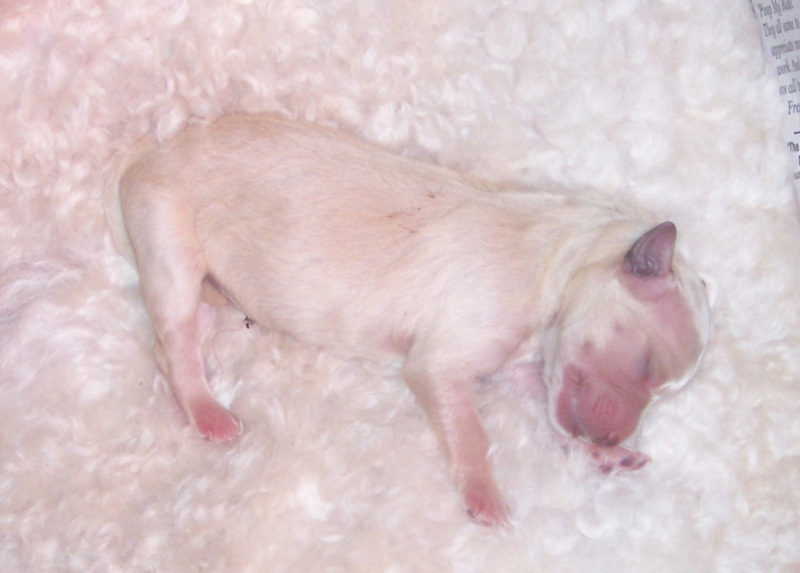 Many of our puppies are sold before they are born. Deposits placed after a litter is born are non-refundable, but can be rolled over to another litter. 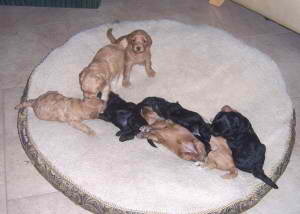 A deposit placed before a litter is born is refundable only if I cannot give you the type of puppy that you requested. For example you requested a black male and only gold females were born. The balance of your puppy's cost is due when you pick up the puppy. Cash or cashier’s check is preferred for the final payment. Deposits are $500.00. Why is my Deposit non-refundable? Other than the reasons listed above, I do not refund deposits. Why... first of all putting down a deposit means you are committed to bringing a puppy into your home. If you have not thoroughly thought about what this means ..... the love, time and dedication that this involves....then please do not put down a deposit. I do not refund a deposit if you change your mind, cannot wait, etc. First deposit gets first pick, second deposit gets second pick and so on. Will you deliver my puppy? 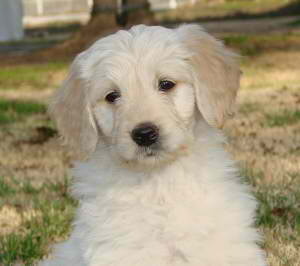 Depending on how far away you live, we can deliver your puppy to you or meet you at an agreed upon location. We charge a minimal fee to cover gas and time. Petite range: Height: below 14 inches at the **wither, typically 25 lbs. or less. Miniature range: Height: over 14 but under 17 inches at the wither, typically 26-35 lbs. Medium range: Height: over 17 but under 21 inches at the wither, typically 36-50 lbs. Standard range: Height: over 21 inches at the wither, typically 51 or more lbs. **The wither is the top of the dog’s shoulder blade. 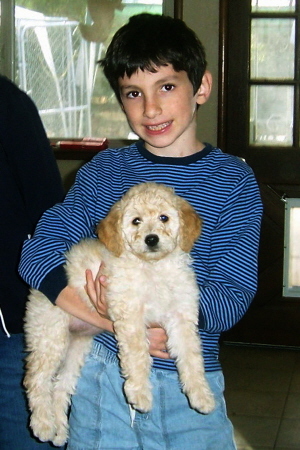 A Poodle bred to a multigen Goldendoodle also constitutes a multigen. How much are your puppies? CA sales tax wil be added. If a Litter is a different price for any reason, it will be posted on that litter page. If you are unable to take your puppy on take home day there is a charge, per day, to take care of your puppy. This must be discussed in advance. What is included with your puppies? *A great start using the the methods of "Bio Sensor"
**Health guarantee will be extended from 24 months to 36 months from date of birth if you give your puppy/dog NuVet Plus immune system builder, as directed by the manufacturer, for the entire guarantee period (36 months). NuVet products are not sold in stores. You may order by phone by calling 800-474-7044. You must use order code 44031 or online at www.nuvet.com/44031. NuVet keeps track of your purchases for me with this code; therefore, it is not necessary to keep track of your receipts. NuVet must be started within 1 week of buying your puppy.